A life-sized Crucifixion sculpture by 17th-century Italian master Gian Lorenzo Bernini has been donated to the Art Gallery of Ontario. Given to the Toronto gallery by the family of real estate developer and AGO board member Murray Frum, the bronze masterwork is entitled Corpus and is said to be worth $50 million. 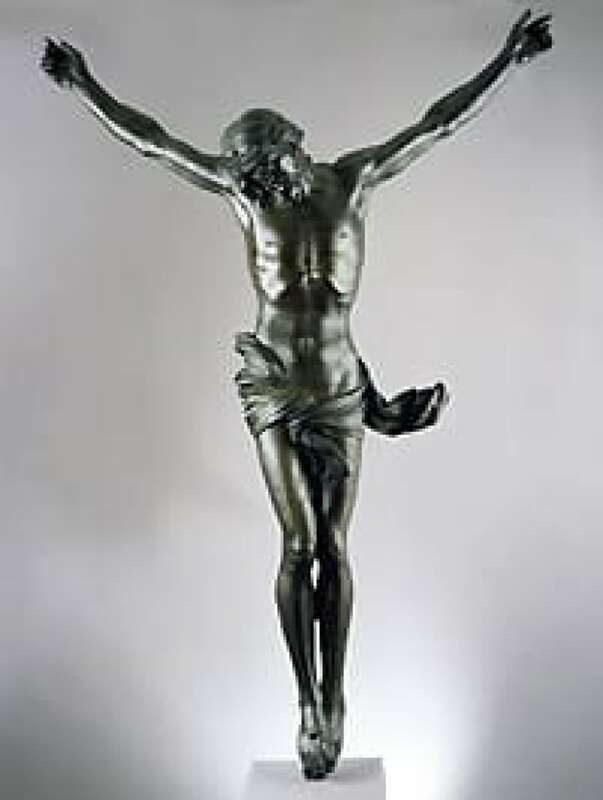 "This is an extraordinary work in that it is made out of bronze that has a wonderful lifelike quality to it. It's almost as if the Christ figure wants to jump off of the wall," gallery CEO Matthew Teitelbaum told CBC News Thursday morning. Corpus "is regarded by many as one of Bernini's long-lost masterpieces," Teitelbaum said, describing the Naples-born, Rome-based baroque master as "the great baroque artist of his generation" and "one of the greatest sculptors of all time." Measuring nearly 1.7 metres high, Corpus wascast around 1650. Bernini made three versions of the sculpture, one of which was presumed destroyed during the French Revolution, another of which is held by the Spanish royal family. The bronze sculpture Frum bought recently was long thought to have been created by an anonymous French artist. 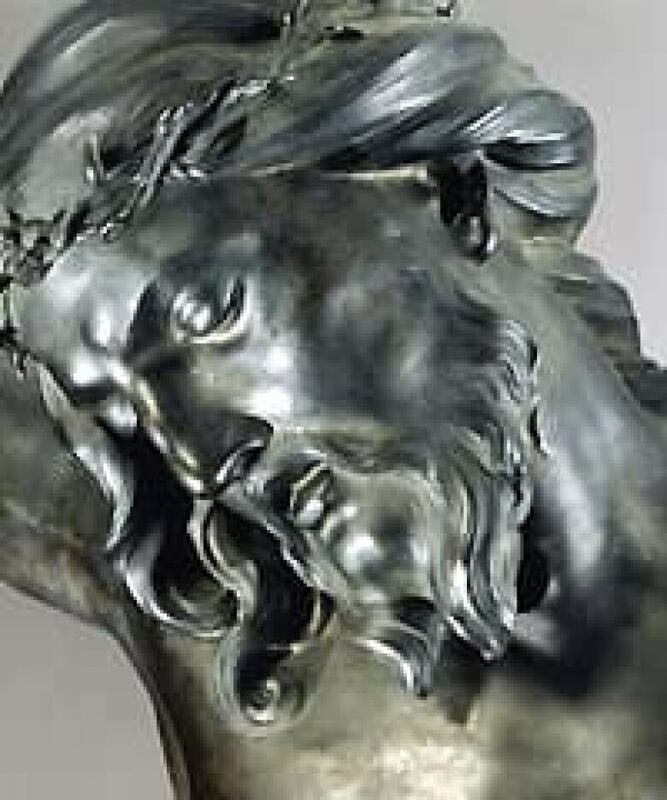 However, about three years ago, after new scholarship and study into the piece, Corpus was finally attributed to Bernini and is believed to be the cast he made for his personal collection. An architect as well as a sculptor, Bernini also worked on Italian churches, most notably St Peter's Basilica, and designed a number of the popular fountains in Rome, including the Fountain of the Triton and the Fountain of the Bees. Frum pursued Corpus for the past couple of years and recently purchased it from a U.S. art dealer. "Corpus was immediately appealing because of the beauty and emotion of the subject," Frum, a longtime supporter of the gallery, said in a statement Thursday. "When we learned that it could be traced back to Bernini's own collection and was an object that he made for himself, it was clear we were in the presence of a unique work of art, a masterpiece that would be a highlight of any collection." In December, Frum decided to donate it to the AGO, to which he had previously donated a collection of African art. The Bernini bronze will be a tremendous addition to the permanent collection, said Teitelbaum. "This work — in relation to the other Bernini we have and the other baroque works of art — really does allow us to tell the story of baroque art with real power. That's very exciting," he said. "To get a work of art that changes your sense of a collection as powerfully as this does is a very rare occurrence." The AGO will unveil Corpus this summer as part of its closing exhibition. The gallery, undergoing a major renovation designed by internationally renowned Canadian architect Frank Gehry, will reopen in 2008.